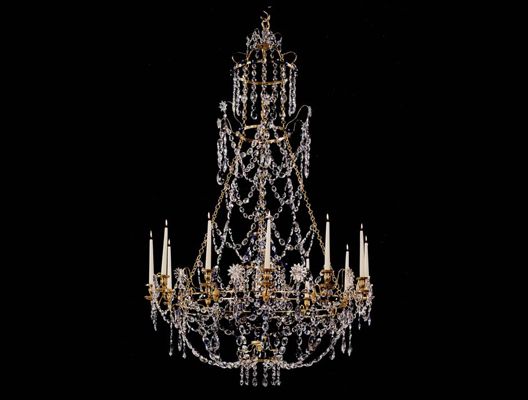 A highly important late eighteenth century ormolu and glass twelve light chandelier executed in fire-gilded mercurial tents and hoops, the central rings of ormolu, from which protrude arms nozzles and pans, decorated with fine quality classical masks. 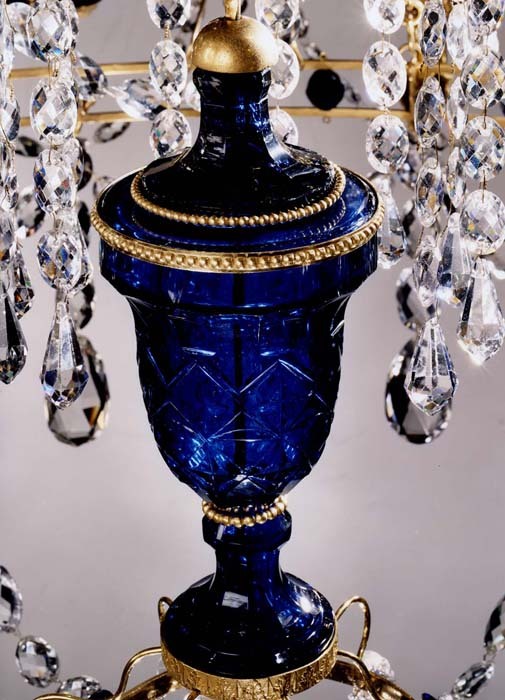 The glass being a mixture of cobalt blue and clear drops made up as pendants and swags, the interior section retaining the original superb cobalt blue glass vase with its attachments. Maximum height 66in (168cm). 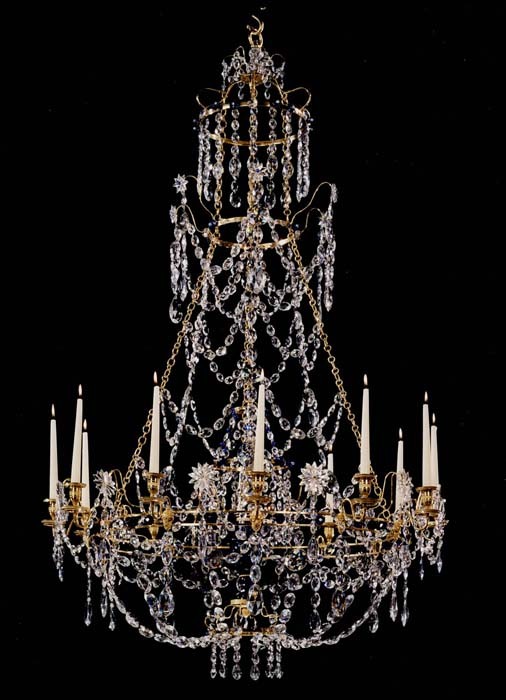 Maximum diameter 41 1/2in (105.5cm).